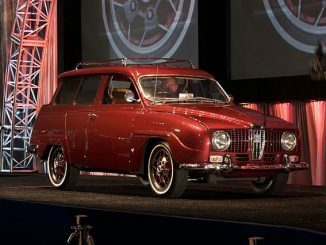 This was originally posted on saabworld.net on 5 April 2011 and reposted here to preserve this information and pictures. 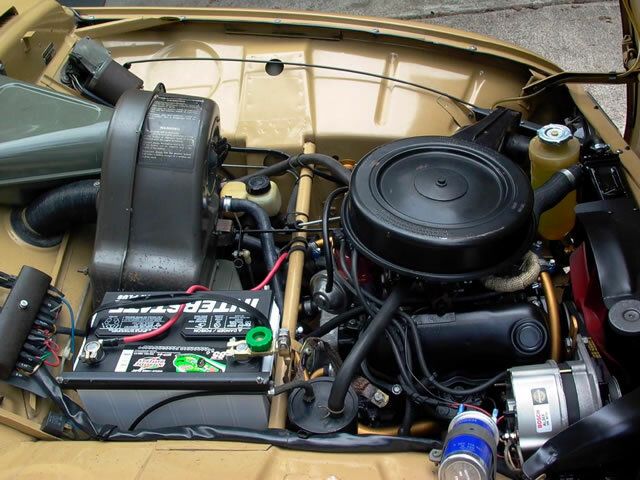 This Saab 95 was part of the GM Heritage Collection for about 3 years. 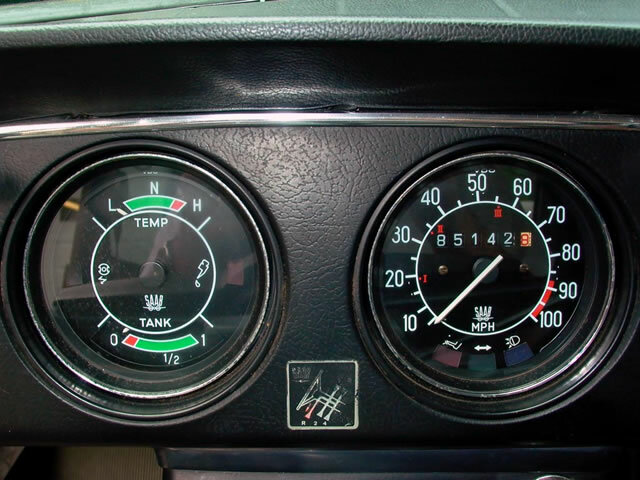 It has 85,158 miles on the odometer but it seems to be in excellent condition. The auction on eBay has a Buy-it-Now price of US$20,197 and the bidding is currently up to $16,555 with 4 days left in the auction. The reserve has not been met yet. 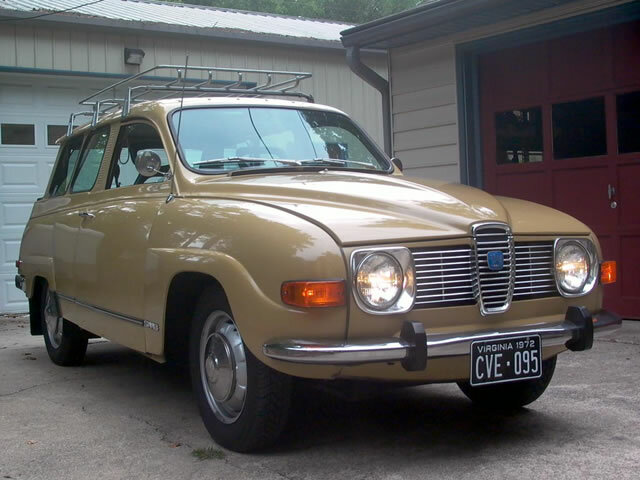 Not only does the condition make this a great car for the Saab enthusiast but the history is very interesting as well. Invited to the GM Heritage Display at the upcoming Import Carlisle this May! 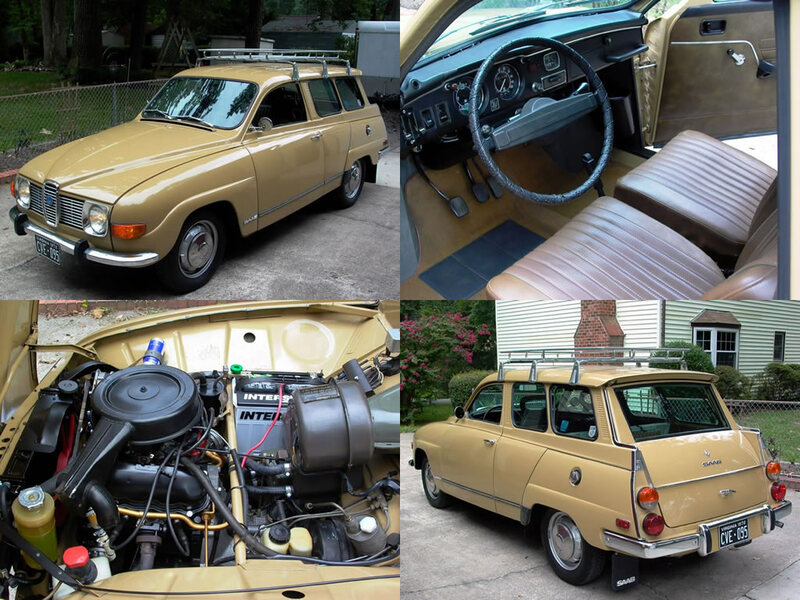 Offered for your consideration is this exceptional 1972 SAAB 95 V4. 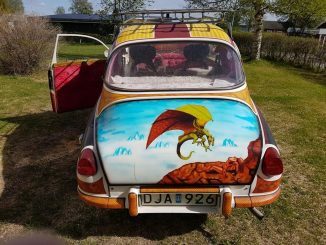 Its original owners picked it up at the factory in the summer of 1972 and toured around Sweden (stopping at Goteborg and Kungalf along the way, stickers still in the back windows) before returning to the metropolitan San Diego area. The car remained with them until they were no longer able to drive. 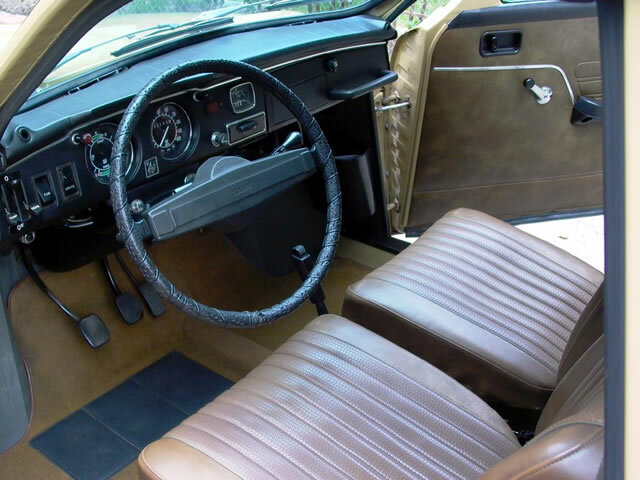 It was then purchased by a client of mine in New Hampshire who kept it a year, then from him by yet another client, a top-tier collector of exceptional automobiles in New Jersey, who kept it for 2-3 years. At my instigation, we then sold the car into the GM Heritage Collection in late 2007 to fill a gap in their 30-car SAAB display. On the breakup of the collection in 2010, I purchased the car back out of the collection. 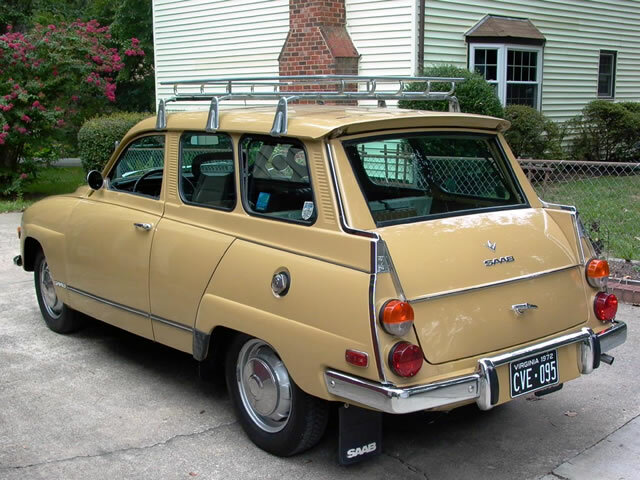 The car wears most, if not all of its original Ambragul (Amber Yellow) finish applied in Trollhättan in May of 1972. 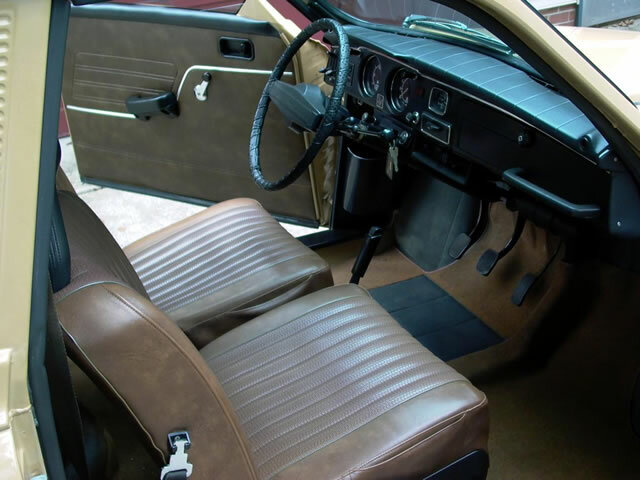 If the car was ever comprehensively refinished, there are no indications of it in the doorjambs, where an original sticker remains from when the car was new. There are no tape marks and the finish is clearly a heavy lacquer just like that applied at the factory. I can find no indications of blending. 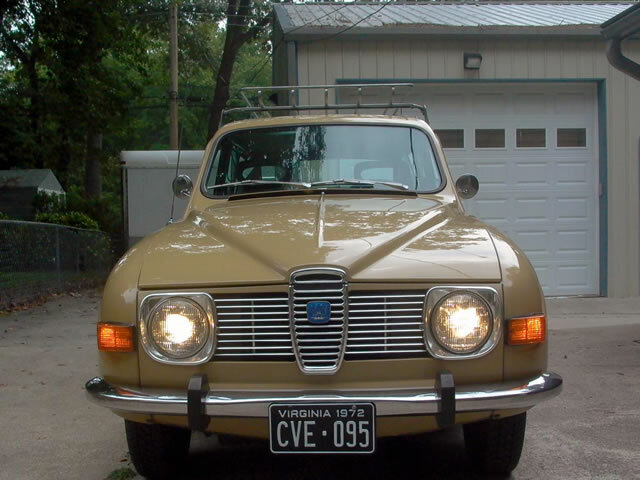 I have comprehensively restored a similar 95 in the past and have been a parts and service vendor to the vintage SAAB community for over a decade, so I’m not just speculating wildly. There is a very small rock ‘star’ in the upper left windshield, barely visible from outside, it is more obvious from inside. My glass guy says that it’s been filled and will not spread, so since this is the original windshield, I’ve opted to leave well enough alone. 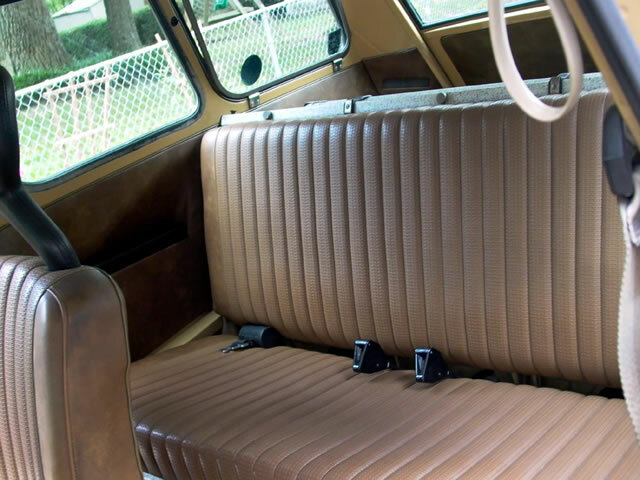 The car is naturally without any indication of corrosion, past or present. 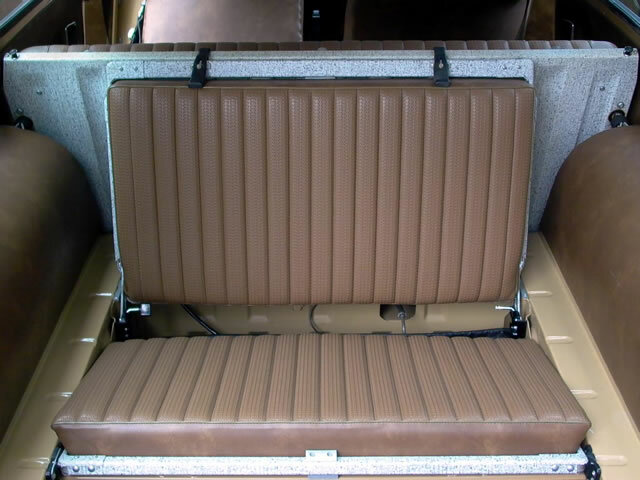 It wears its original undercoating that is not all over the trailing or control arms, et.c. indicating it was ever redone or applied over existing underseal. 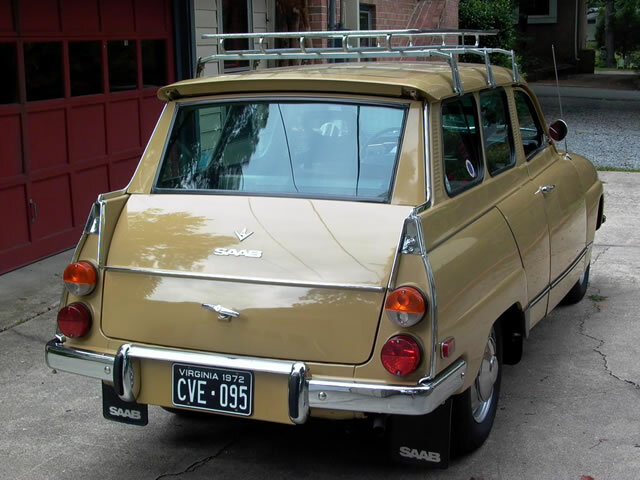 The car’s chrome and brightwork is nearly flawless throughout with only minor indications of age. To the best of my knowledge, none of this has ever been redone. 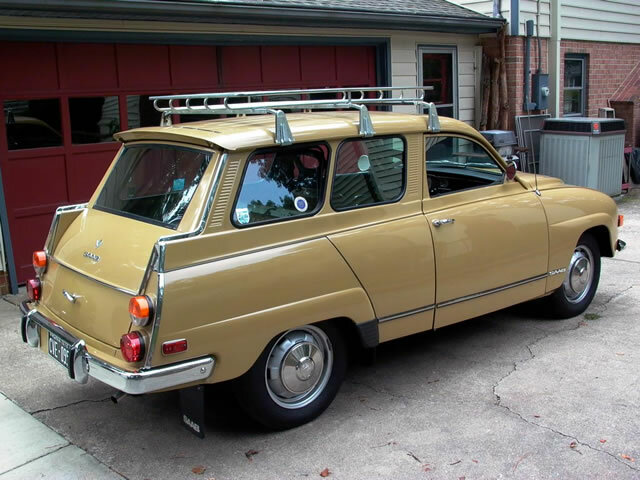 Additionally, the car wears the roof rack that the original owners fitted to the car either from the factory or on their return from Europe; I imagine they made use of it in their early travels. We had some paperwork problems with many of the Heritage cars. Upon purchase/brokerage of these cars out of Michigan last year, all were promised to me with clean and clear titles, unlike the ones that sold through Barrett-Jackson with scrap titles. This car might have presented a major problem had I not known its previous owner. Early this year, I finally got GM to agree to allow him to apply for a duplicate to the title he had since they never titled the car. We have this now, ready for transfer. It took 9 months to make this a reality – the pace of bureaucracy! I’ve got some other projects I’d like to get into; sometimes it’s more fun bringing something up to speed and then letting someone else enjoy the result. This is such a case. This is a very enjoyable car that has and will continue to win award after award at SAAB gatherings and other unusual car shows. It has been a class winner on more than one occasion and has not been shown since all the work was done under the hood. 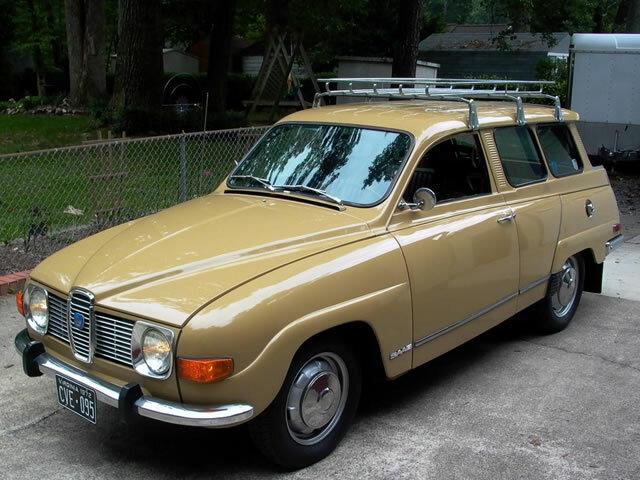 Its history is known as is its chain of ownership, something else that is very rare with vintage SAABs. 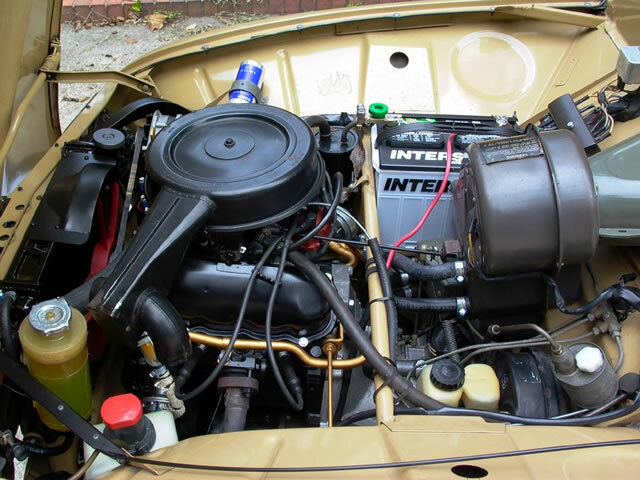 It runs and drives very well and will not disappoint any new owner. 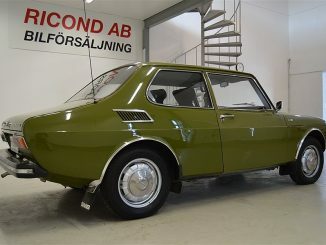 Best of all, it has never been comprehensively restored and is about as good an original car as one could ever hope to find among SAABs made prior to the 900 series. Sign me up for the newsletter so I will be notified of new posts on SaabWorld! Your email address will never be shared with anyone. It is only used for the comments to make sure you are not a spammer. You can unsubscribe from the newsletter at anytime.